Small portable plastic ink bottle for the easy and clean filling of your TWSBI Vac 700R or Vac Mini Fountain Pen. Measures 34.7mm diameter x 88.2mm high. The coloured cap unscrews and in its place you screw your pen before inverting the ink bottle and pen to fill. 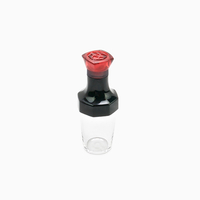 This inkwell is compatible with both the TWSBI Vac 700R and the TWSBI Vac Mini fountain pens. 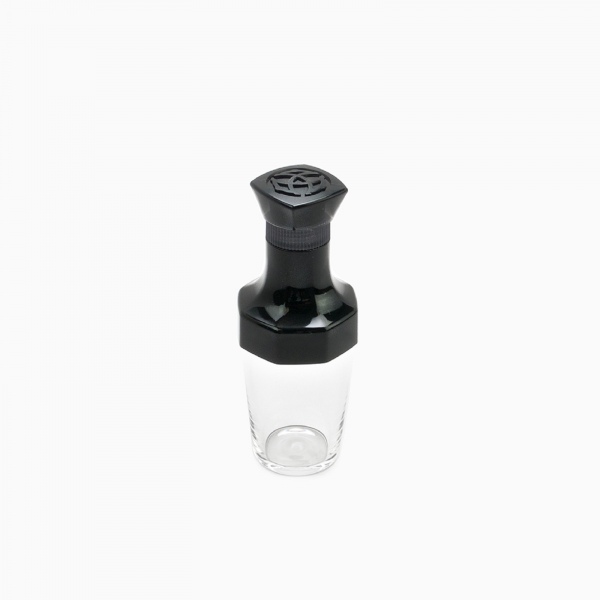 Attach your pen to the translucent grey adapter for the Vac Mini, and directly to the black bottle top for the Vac 700 (first remove the grey adapter as it is not needed for the Vac 700 & Vac 700R). When the pen has been attached onto the inkwell, invert and operate the plunger in the normal way. You will be able to fill the barrels of TWSBI Vac models completely with this ink well.